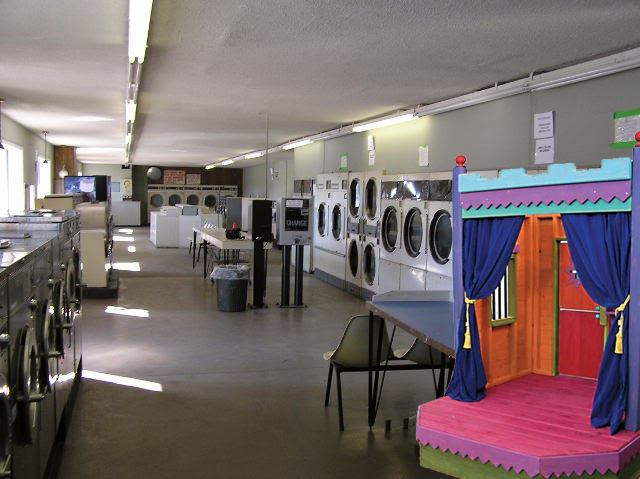 In Randolph, Vermont, The Laundromat Theater is close to many low income residential areas. This common stop for families with little time or access to playgrounds now offers a whimsical, compact and portable play stage that kids can use to create impromptu puppet shows and plays. The stop includes simple instructions for making sock puppets and fun costumes and offers craft supplies that can help turn lost and found or donated clothes into imaginative props. Theater design and craft instructions can also be found online in simple-to-use PDFs and a how-to video, so that communities anywhere can create and use their own theaters in unexpected places. The Laundromat Theater turned a site previously filled with weeds and graffiti into a place for kids to play downtown. 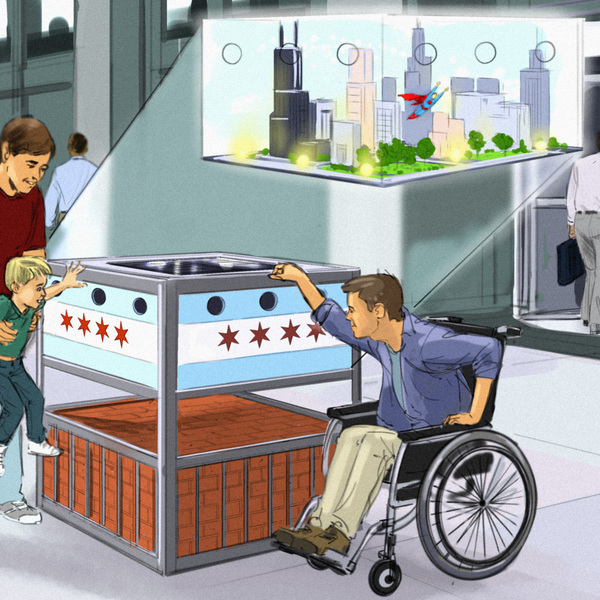 The site gives kids who accompany their parents something fun to do while waiting for laundry or pizza. Families stay for a long time and interact with diverse kids of varying ages as they participate in creative, dramatic play. 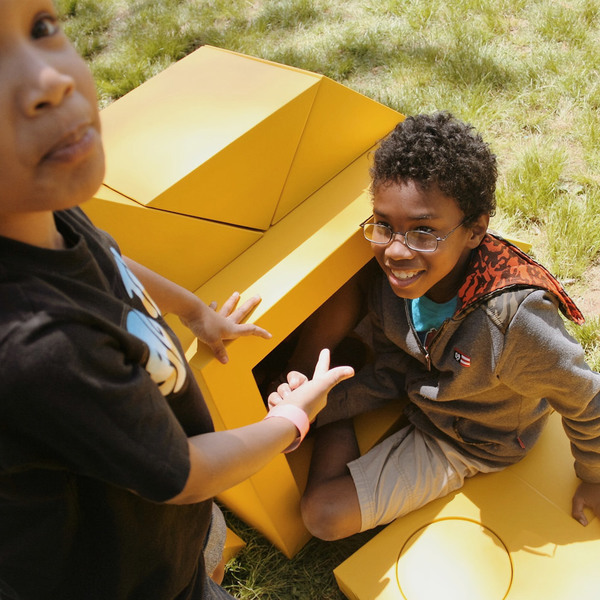 Kit of Parks delivers play in less than 5 minutes to low income families in Boston. Chicago Children's Theatre's (CCT's) Dreams on Parade leads citizens on a treasure hunt around Chicago’s West Loop neighborhood and surrounding at-risk communities. 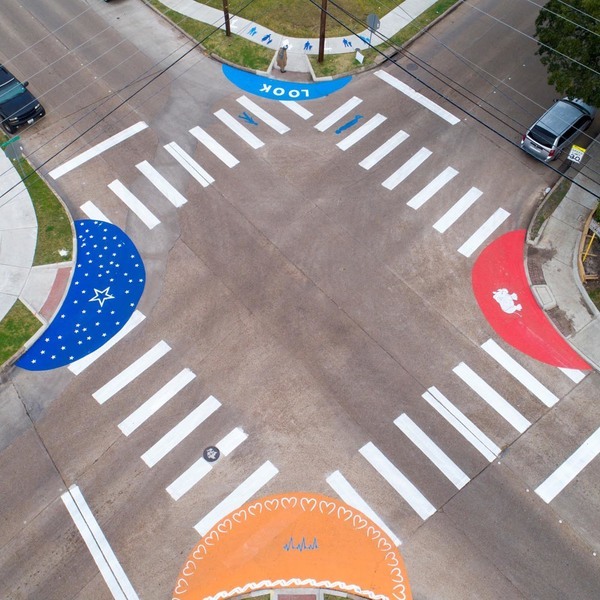 Four corners of a crossroad were painted with bold, fun colors that remind kids to take care when crossing the road.